Philadelphia is a city that has a really impressive and diverse dining-out scene. There are hundreds of restaurants and countless street food temptations which is why it is not surprising that Philly is now one of the best places for foodies in the U. S. The problem is that exploring the local dining out options will take you an eternity because they are simply so many things to try out and to taste in the City of Brotherly Love. Luckily for you, we are here to help you discover the most fantastic food in Philadelphia and to give you a detailed outline of the must-try dishes in this city. Prepare to take your palate on an extraordinary foodie adventure! 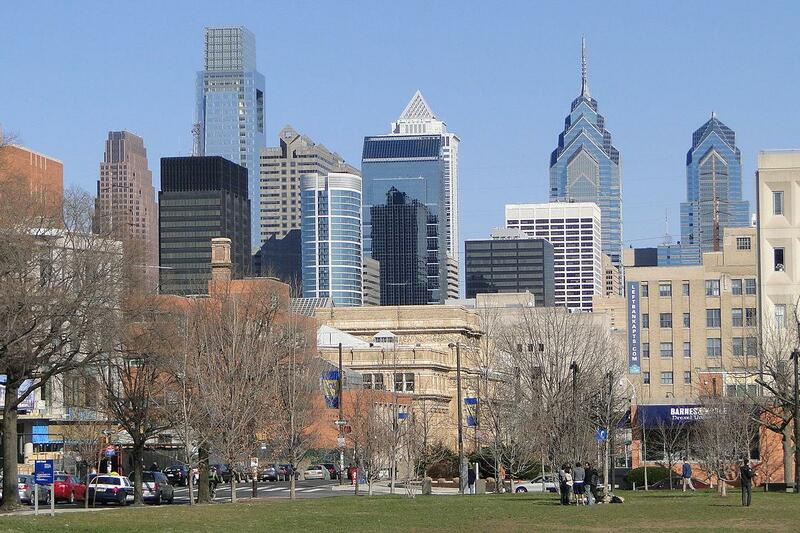 Philadelphia is a city where you can find many interesting and innovative dining out spots. However, make sure you show some love to the traditional cuisine of the city. Many of the most famous local temptations for food lovers were actually influenced by foreign cuisine. That is because of the large communities of Italian immigrants and Dutch Pennsylvanians that live in this part of the country. One of the first things you may notice about the local cuisine is that it offers a great selection of sandwiches. Among them are the iconic hoagie and the Philly version of the steak sandwich – cheesesteak. Both of them were originally made by Italian immigrants in the first half of the 20th century and they continue to be a top street food choice in the city. Much like the rest of Pennsylvania, Philadelphia is also a place where you can enjoy a wide range of interesting cakes. Most of them are of a Dutch Pennsylvanian origin and can only be found in this U.S. state. If you can’t decide which of them to try out first, simply order a funnel cake or a whoopie pie. These two cakes make an exciting last course for any meal. Steak sandwich Italian-American A sandwich with grilled beef and a hot dog bun. The Philadelphian version of this sandwich, however, includes cheese and it is called cheesesteak. Hoagie Italian-American A sandwich that includes two slices of bread, lettuce, an assortment of meats and cheese. Roast port Italian sandwich Italian-American A sandwich that includes sliced roast pork, provolone cheese spinach or broccoli rabe. Soft pretzels Pennsylvania Dutch One of the city’s symbols. 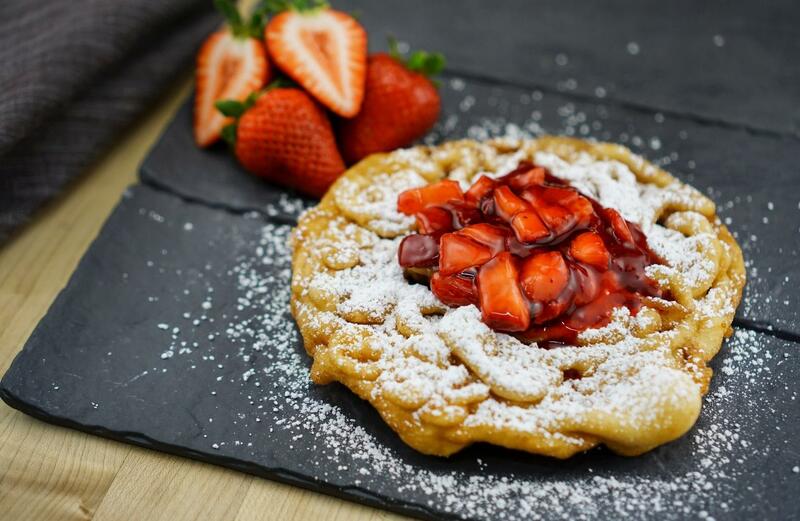 Funnel cake Pennsylvania Dutch It is prepared when batter is poured into hot cooking oil in a specific way. The mix is then deep-fried. Can be served with chocolate, powdered sugar, jam, fruit, jelly and etc. Irish potato candy Irish Despite the name of this delicious treat, it does not contain a single potato but it does look like one. It is made of cream, coconut, sugar, vanilla and cinnamon. Some people know Fishtown for the amazing pizza that is available in the area. And, indeed, this neighbourhood has one of the most delicious pizzas not only in Philly and Pennsylvania but in the U.S. as a whole. But even if you are not a big fan of Italian food, you should still dine in Fishtown. Over the last couple of years, the area welcomed a few one-of-a-kind concept restaurants. In fact, this place is so hip that you can try out the hottest up-and-coming dining trends namely here. 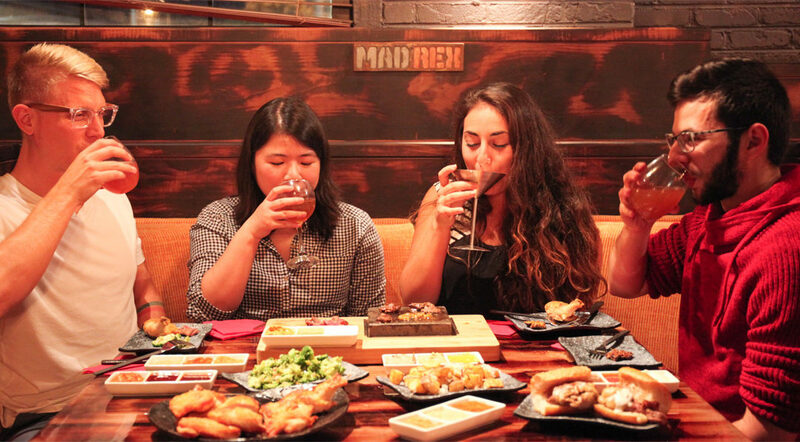 The Mad Rex, one of the most interesting themed restaurants in the city, is set in Fishtown. It has a post-apocalyptic vibe and it offers an outstanding dining experience in Philadelphia. The restaurant has a special “Survivors Menu” that features meals with memorable and curious names like “Wastelands” or “Guts and Glory.” So, head over to Fishtown, if you want to add some excitement to your daily life. This neighborhood is rather pricey which means that dining here will also cost you a few extra bucks. If you can afford it, however, add Rittenhouse to your foodie map of Philly. There are plenty of exclusive restaurants here, as well as a number of gourmet pubs. If you are looking for something more inexpensive, University City may be just the place for you. This neighborhood does not have many refined eateries and instead it focuses mainly on casual dining. Nevertheless, you will not be disappointed with the simplistic yet tasty food which you can discover here. Still, keep in mind that Uni City can get a bit crowded because it is a hotspot for university students. West Philly may be located right next to University City but it is a much more sophisticated dining neighborhood. If you are a vegan or a vegetarian, here you will easily be able to stick to your menu. Price-wise, however, you may need to dig a bit deeper in your pockets. If you don’t have the time for a five-course meal and you just need to grab a quick snack, the area of Passyunk is the first place you should visit. Most of the eateries here are located on Passyunk Ave which makes exploring the foodie options in this neighborhood incredibly easy. So, no matter whether you are just passing through Philly or whether you are actually living in the city, dining out here is something for which you should definitely find some time. This is among the best places for food lovers in the entire country because locals respect and love their traditional cuisine but they also are willing to take a more innovative approach when it comes down to eating out.